Kane Hemmings volleyed home to secure a fourth consecutive home win for Barnsley. The Reds earned back-to-back wins to reignite their own hopes of a top six finish in League One, moving up to 13th in the table. They got off to a great start after Hemmings put them in front with 12 minutes gone. George Waring fed Milan Lalkovic out wide and the Slovakian sent in a cross which Hemmings met on the volley to score. Moments earlier, Oldham went close when former Sheffield Wednesday wideman Mike Jones fired narrowly wide and ex-Blade Jonathan Forte sent a lob too high over Ross Turnbull. Hemmings almost doubled his tally on 19 minutes when he went for goal straight from Turnbull’s long kick, but this time he skewed his volley wide. The pressure then began to come from the visitors. Danny Philliskirk cut a cross back from the byline but Forte’s contact on his shot was poor. Goalmouth action was few and far between as the half wore on. After the break, Oldham were forced to introduce former Red Jacob Mellis in place of the injured Philliskirk. The visitors were largely in control of possession but failed to make it count. Carl Winchester was denied by Turnbull in a rare shot on target for Oldham. 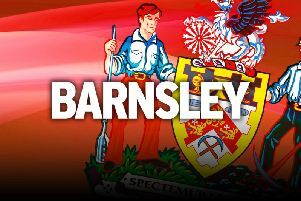 Barnsley (4-4-2): Turnbull; Cranie, M’voto, Ramage, Nyatanga; Scowen, Hourihane, Pearson, Lalkovic; Waring, Hemmings (Winnall 70). Subs: Davies, Jennings, Digby, Smith, Lita, Kiwomya. Oldham (4-1-2-1-2): Kean; B Wilson, Elokobi, J Wilson, Brown; Kelly; Winchester, Jones; Philliskirk (Mellis 53); Poleon (Wilkinson 60), Forte. Subs: Coleman, Mills, Dieng, Lockwood, Kusunga.